I honestly think all these paintings on my iPhone are cheats. I am really painting over a photograph. 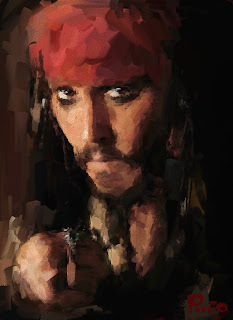 This one took me a bit more time though, and then I exported it out and painted more in ArtRage. Enjoy! 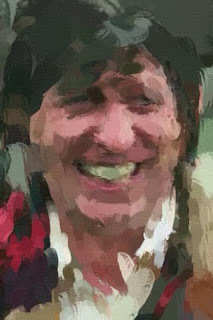 He's not even my favorite Doctor Who, but he has a great face to draw and paint. Another shot from my iPhone. 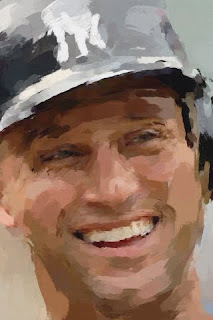 Simple face shot of the Yankee captain. Done once again on my iPhone. "What about Peter Cushing?" That's what my friend Alberto asked. So here it is. 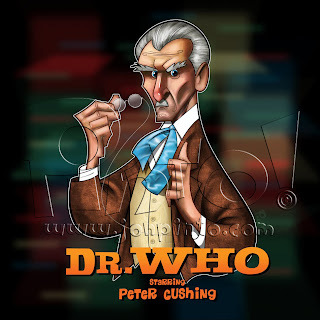 Peter Cushing (most famous for making horror films and of course playing Grand Moff Tarkin in Star Wars)also played Dr. Who in two movies back in the mid-sixties. I was not intending to do this one at all, but I recently watched the first of the two films on Hulu for the very first time and found myself doodling at the same time. He has a fun face to draw with that nose and sunken cheeks!! I have the second movie on VHS that I bought used a long time ago. I was surprised to find out that it is actually better than the first one. For those of you that do not know, Dr. Who is actually his name in the films (rather than "The Doctor") and is human! Well no matter. This was kinda fun to do and it went really fast. Hope you all like.